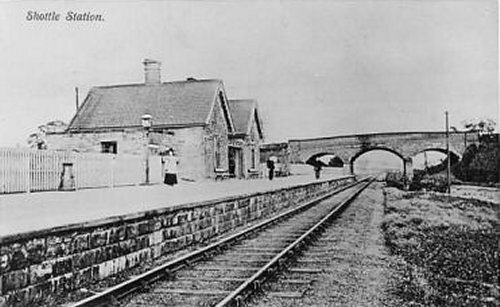 Taken c1910, looking South towards Duffield and Derby. Photo taken about 1910. Shottle station is on Ashbourne Road (A517, the bridge in the background) near where it crosses Cowers Lane (Wirksworth Road), about 1.5 miles from Shottle village (a long way if you were walking with luggage!). 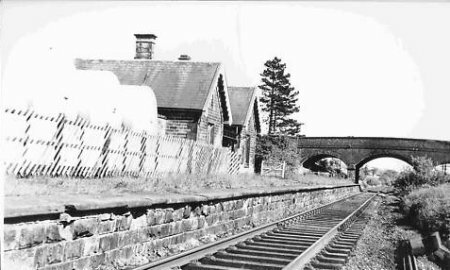 It is much closer to Turnditch (500 yards) so why was it called "Shottle Station" I wonder? 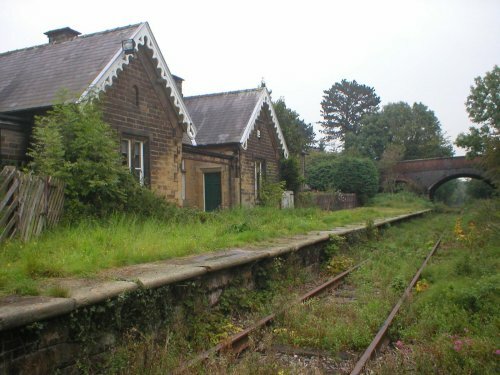 The Ecclesbourne Valley Line travels from Duffield to Wirksworth past Shottle and Idridgehay, about 8 miles. 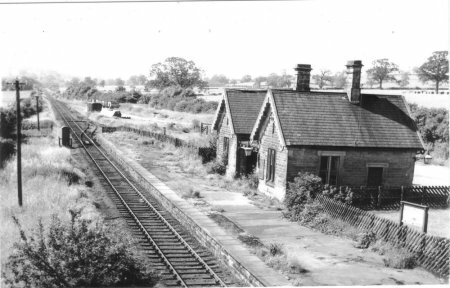 The station closed to passengers on 16 Jun 1947, and closed completely on 2 Mar 1964. 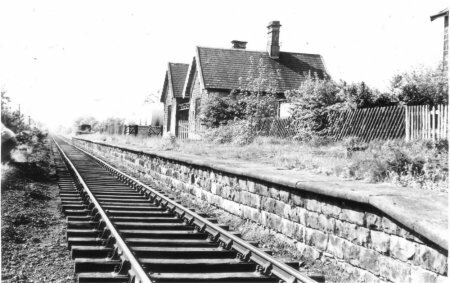 The Ecclesbourne Valley Railway Association is in the process of restoring the line. 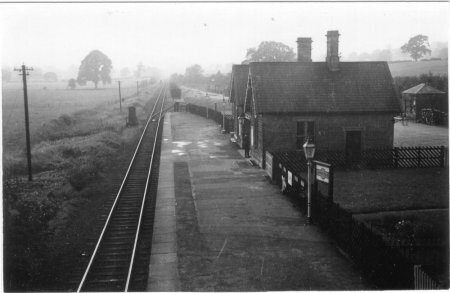 Taken 1963 from the bridge, looking North towards Idridgehay and Matlock. Unposted, showing porter, gaslights, gradient plate, "Shottle" nameplate, siding with 6 wagons, logpile.